Hello Stampers and Happy Tuesday! Today there's another fun challenge over at the Tuesday Throwdown blog. This week's theme is "Stenciling" and the awesome folks over at Sparkle 'n Sprinkle is sponsoring. 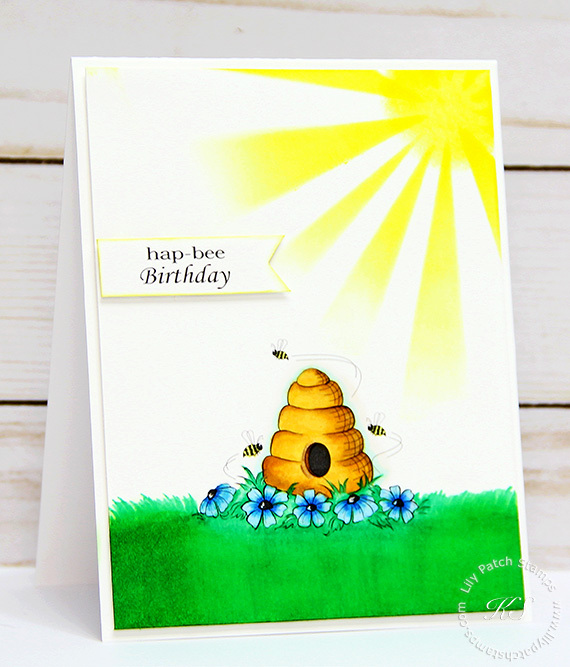 I am using this beautiful Honey Bee set. I stenciled the sun using distress inks and the image is colored in using Copic markers. I made the grass by using a combination of Copic markers and distress inks. I freehand the banner and popped it onto the card using foam tape for some dimension. Just popping over from SCS! This is so beautiful! I adore your bright colors in this sweet scene!